You get a GAIQ certificate once you pass the exam. 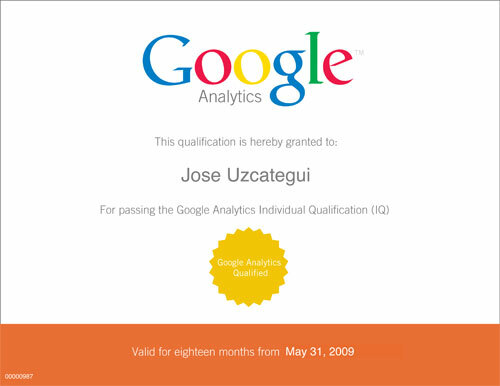 Yes, the Google Analytics Individual Qualification (GAIQ) exam exists, and I just passed it! Indeed I’ve been polishing my skills. First, the Advanced SEO Certification I mentioned on my last posts; this week was the GAIQ; and next will be…shhh, it’s a secret. I enjoy learning new things, which is good since constant learning and Internet marketing go hand and hand. Google introduced the GAIQ earlier this year – and what a great idea to encourage professionals to take the extra learning step. The test consists of 70 questions, is 90 minutes long and costs $50. To pass you need more than 75% and once you do, you get a very modest PDF with your name on it. In order to prepare for it, it’s highly recommended to check out Google’s Conversion University. If you’ve used Google Analytics for a while you’ll probably be familiar with most of the material. But I would still recommend going through those lessons, regardless of whether you’re taking the exam or not. I, for one, learned quite a bit. I would also recommend those in the social media scene to get familiar with some type of analytics software – Google Analytics is powerful and free. Though I’m a believer that site traffic does not necessarily reflect ROI (I’ve written On Calculating ROI on Social Media), site analytics can help you identify trends that will tell you where to spend your resources. .
I’ve read a couple of blog posts from people expecting more than a mere PDF for having completed the GAIQ exam. But really, gimmi’ a break. Those who get to display the cool logo need to meet much tougher requirements; they are the Google Analytics Authorized Consultants (GAAC). Just to give you an idea, there are only eight GAAC in Canada – including Vancouverites 6s Marketing, VKI Studios and Wider Funnel. In a way, I’m glad Google is not devaluing their qualified companies by giving the logo to everyone who passes an exam. …not that I don’t want one, everybody likes logos, right? In fact, how about having a smaller logo Google people? 1. Know the basics about Google Analytics relating to e-commerce and Google Adwords. There are plenty of questions relating to both. Your Analytics account – it’ll be good to double check many things. Google’s URL Builder – it’ll be useful to verify a couple of questions. 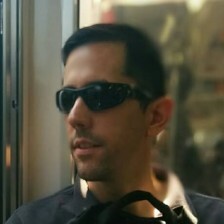 Regular Expression Tool – you’ll use it to verify something. Google Analytics Support Page – it’s a test, you’ll be second guessing yourself. 3. Experiment with your own account before taking the exam. It will help you make sense of most questions. Do you have any other advice for those who are reading this? Could you tell me what is the format of test …is it alternative questions / Answers ? Yes Deepak, it’s mostly multiple choice. There are also some fill in the blank questions… in any case, you don’t need to write an essay or solve a quadratic equations, good luck! Glad it helped, good luck! Thanks, I followed your tips and had spent a good time on the study material provided at conversion university. I could finish the test with a score of 100% !! Yes, a logo would have been good, Google should really consider this request from all of us. 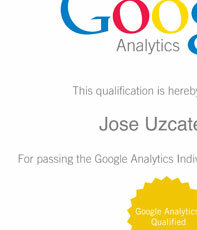 .-= SEOLion´s last blog ..I’m now a Google Analytics Qualified Individual with 100% score! =-. 100%? That’s pretty impressive, congratulations! Happy to hear you found the post helpful. Good luck with it all! Is there any seo certification provide by Google? or other search engines? .-= Amsaraj´s last blog ..Http Request the sever response code for seo =-. Hey Amsaraj – I’m not aware of any SEO certification by Google or any other search engine. You might want to check out SEMPO, Bruce Clay, SEOMoz and other organizations that offer training. On the subject of GA learning and courses, I’d like to get the word out that Langara College is presenting a practical, hands-on Web Analytics course, focusing on Google Analytics. It covers both installation and interpretation of metrics and reports. The course is presented by yours truly. I had google analytics account .But I used that only to check traffic sources & visitors .Is that sufficient along with conversion university tutorials to clear this exam? What you describe is not enough to pass the exam. You must go over the material at http://www.google.com/support/conversionuniversity/ and then you’ll be relatively ready. .-= Google Analytics Individual Qualification Directory´s last blog ..Alexander Dixon =-. can you please give me the Institute list for the certification. @amit not sure what you’re referring to Amit. The certification is from Google. Wow, didn’t even know this exam exists, if it’s only $50 I will try it someday. what should be the qualification for writing this exam ? how is thi exam help full ?